ACT Test offered for reduced cost. Click to read details. 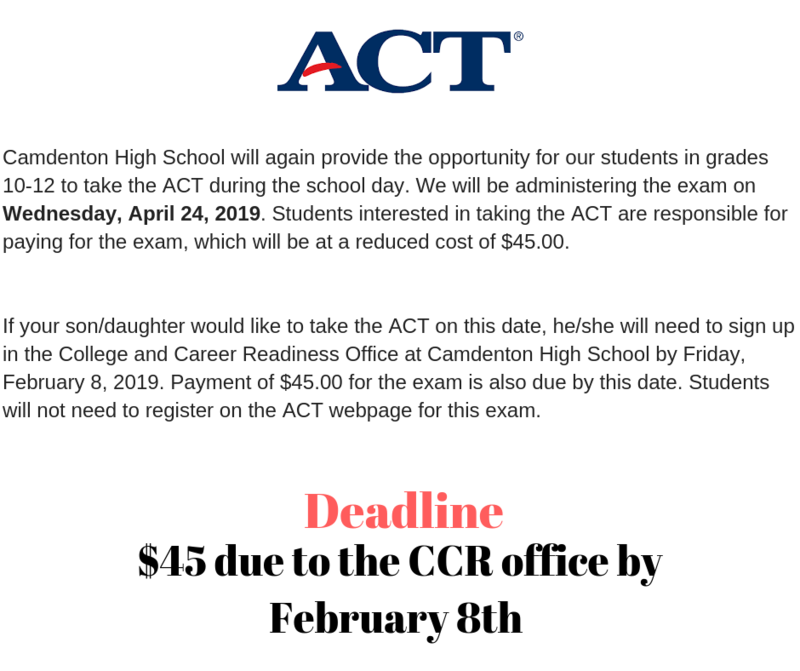 Camdenton High School will again provide the opportunity for our students in grades 10-12 to take the ACT during the school day. We will be administering the exam on Wednesday, April 24, 2019. Students interested in taking the ACT are responsible for paying for the exam, which will be at a reduced cost of $45.00. 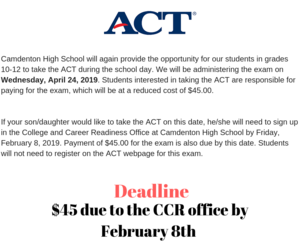 If your son/daughter would like to take the ACT on this date, he/she will need to sign up in the College and Career Readiness Office at Camdenton High School by Friday, February 8, 2019. Payment of $45.00 for the exam is also due by this date. Students will ot need to register on the ACT webpage for this exam.